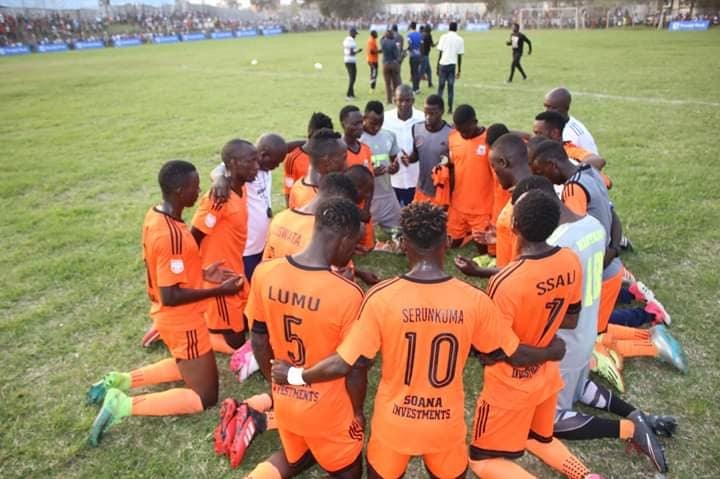 WANKULUKUKU – Buhinga was a fortress the entire time Tooro United hosted games there as the Wasswa Bbosa coached side went 13 games in all competitions unbeaten. With only a few games left in the season, Tooro were forced to shift to Wankulukuku to host their remaining StarTimes Uganda Premier League games. With all eyes on them and the public thinking they may not be able to carry on from where they had left at Buhinga, they proved the majority wrong by winning their first game at Wankulukuku. It may not have been the most convincing scoreline but the 1-0 win over Bul FC on Tuesday proves that may be Buhinga was just another home ground for Tooro and put them anywhere else, they will still be a hard nut to crack at home. Allan Kayiwa scored the only goal of the game in the 8th minute, one that sealed Tooro’s 9th victory of the season. The diminutive winger punished BUL FC both at home and away. It should be noted he scored in the first leg at FUFA Technical Centre a game that also ended 1-0 in favour of Tooro United. Kayiwa also scored in the same fixture last season when Tooro United (then called Soana FC) won 3-1 at Kavumba Recreation Centre, then their home ground. He has therefore scored in the last three meetings against Bul FC and his goal on Tuesday takes his season’s tally to an impressive seven (7). BUL FC ended the game with a man less after combative midfielder Patrick Ssembuya was sent off by referee Ali Sabila for accumulating two yellow cards with the second coming in stoppage time. Victory means Tooro United move in to 6th position on the standings, having accumulated 36 points, the same tally as BUL who remain 5th.